Yay, at last I had a chance to update this blog again. Updating each of my blog has become a hard task for me. There are times that I can only update a specific blog every time I have an assign task to do. Annoying sometimes since my first intention on having my own blog is to chronicle what is happening in my life. Spider Vein is a group of widened veins that can be seen through the surface of the skin, according to medicinenet.com. I personally knew someone who got a spider vein in her legs. Some says it is cause of pregnancy but other people said it is because of too much standing and wearing high hilled shoes. Luckily I did not get any of this while I am pregnant with my son four years ago. But my friend is not that lucky because she spider vein started to show up when she was five months pregnant to her first baby. The thought of getting rid of it when she gives birth did not happen. That is why she having a hard time dealing with it especially if she needs to wear a short pants. Geezz.. I can not believe... I am not updating this blog for many days now. The reason? Well, I do not have any reason actually, I am blogging everyday but I do not have any exciting story to share for this blog so I end up neglecting this blog and my other blog. Hayy.. thats how to difficult to have a multiple blogs. There are times that you are running out of words. Sometimes I really feel bad for my body .At present I am 30 years old. I have put on a lot of weight a year after giving birth to the little bugger. My waist has increased a lot past for more than three years. For few months now I’ve been struggling on how to loose weight little by little. Few days ago my boyfriend noticed that I am gaining again. Geezz.. no wonder because I ate a lot of mouth watering foods last month. Often times I am thinking of trying to take slimming pills but I need to be sure that the pill I will be taking is safe and effective. While browsing the net I came across this Apidexin review. Now that I am done reading the some feed back from some users, am I ready to take the outcome? Mr. Google has been updating since last week unfortunately this blog is not lucky like my other blog. Its been a ages now since I lost the PR of this blog. Hopefully, time will come that Mr. Google will reward this blog a pr that I deserve. I guess I still need to work double effort to gain unique visitors. How about you guys? Are you lucky with google this time? Finding the right home furniture can be difficult and tricky, that is why it is a must to be careful on choosing which furniture to buy. 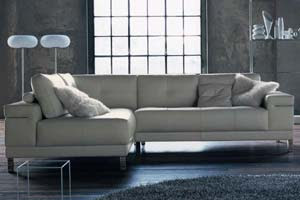 If you are planning to buy a SOFAS for your home I advise you to visit Spacify.com. Spacify offer a wide selection of home furniture such as, bed room furniture, living room furniture, office furniture, home furnishings, contemporary chairs, modern tables and a lot more. Currently they are offering free shipping and 30% in thier selected products. What I love in Spacify furniture is that they have a they has a unique and trendy looks and made of high quality materials. If have enough money I would love to have the sofa in the picture.